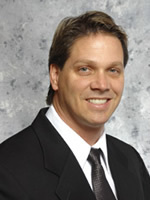 Richard Hood, MD received a Doctor of Medicine at Wayne State University in 1988. He completed a Residency program at Children's Hospital of Detroit and Providence Hospital in Southfield, Michigan. He completed a six month residency in both Pain Management and CV Anesthesia. Dr. Hood moved to the Southwest Florida area in 1999 with his wife and four children. Initially, he worked in Naples, Florida, and most recently he has joined the Institute for Orthopaedic Surgery and Sports Medicine group in Fort Myers and Estero, Florida. Dr. Hood enjoys swimming, biking, and spending time with his family.